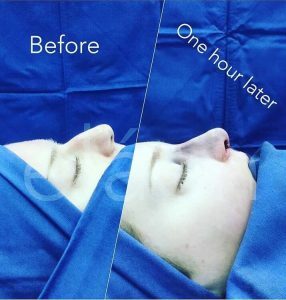 “Best of the best…Can’t say enough about the skills of Dr. Alejandro and his caring, fabulous staff!” — Soci R.
Rhinoplasty Mexico, or Nose Surgery, can have a profound effect on the appearance of the entire face. And what is worse than a nose you are aesthetically unhappy with and cannot breathe out of? Our elite plastic surgery team in Mexico takes a different approach to Nose Surgery in Mexico. We combine the artistry and skill of a renowned plastic surgeon with a world-class oral surgeon. 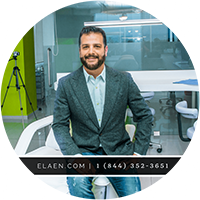 Here at eláen, we also offer a full spectrum of advanced plastic surgery procedures, including Facelift Mexico, Liposuction Mexico, Breast Implants Mexico. 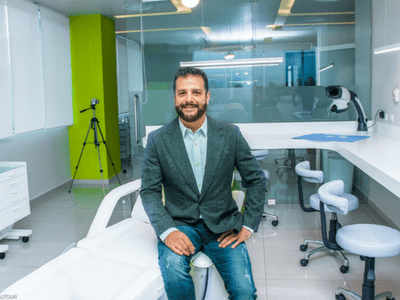 Led by expert plastic surgeon, Dr. Alejandro Enriquez de Rivera Campero, the team at eláen offers expertise and an approachable style which has given the top plastic surgery clinic in Mexico an astounding reputation and excellent media resource. Rhinoplasty Mexico can change the size, shape or proportions of your nose. It may be done to repair deformities from an injury, correct a birth defect or improve some breathing difficulties. Many clinics in the United States offer Nose Surgery or Septoplasty Surgery, however they are less likely to be completed at the same time because many surgeons are not skilled in both. Your surgeon needs to specialize in both functional and cosmetic rhinoplasty — as they are two very different procedures. At eláen Plastic Surgery and Hair Transplant Center, our plastic surgeon and oral surgeon excel at combining Nose Surgery and a Septoplasty so that your nose’s exterior and interior can be completely corrected in one single visit. Septoplasties are commonly performed to fix a nasal septum — or the narrow part of tissue in between your nostrils. What is a Deviated Septum? The tissue between your nostrils is crooked and blocks air from seamlessly going through your nostrils. Many surgeons in the USA also use packing strips after Nose Surgery. Here at eláen, we do not pack the nose. We want our patients to be comfortable — and have the ability to breathe through their nose. We use a special technique to place dissolving stitches on the inside. Rhinoplasty and Septoplasty are achieved under general anesthesia. Performed together, the procedures take from 2 to 4hours, depending on the complexity of the procedure.